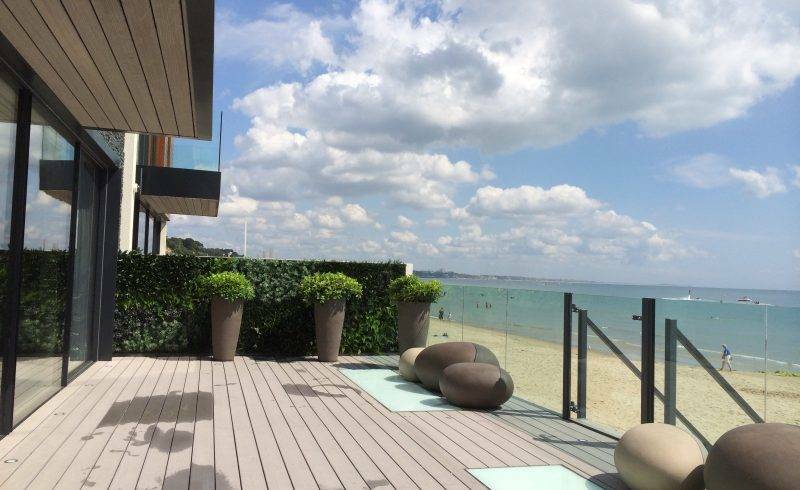 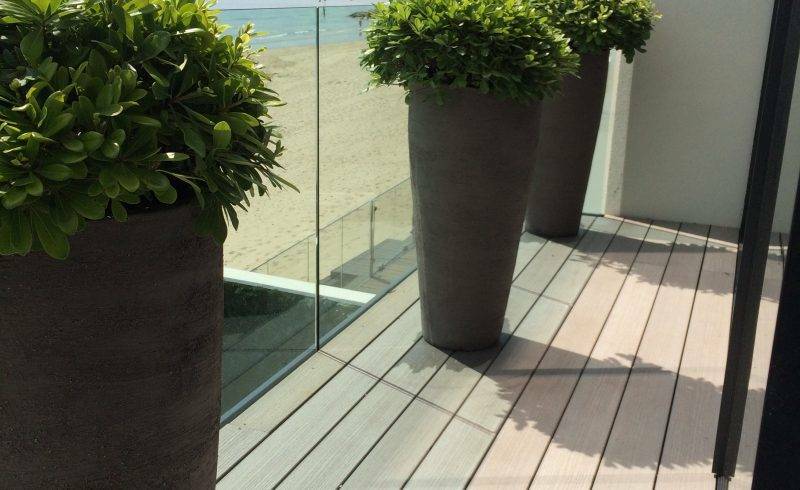 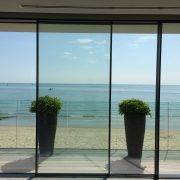 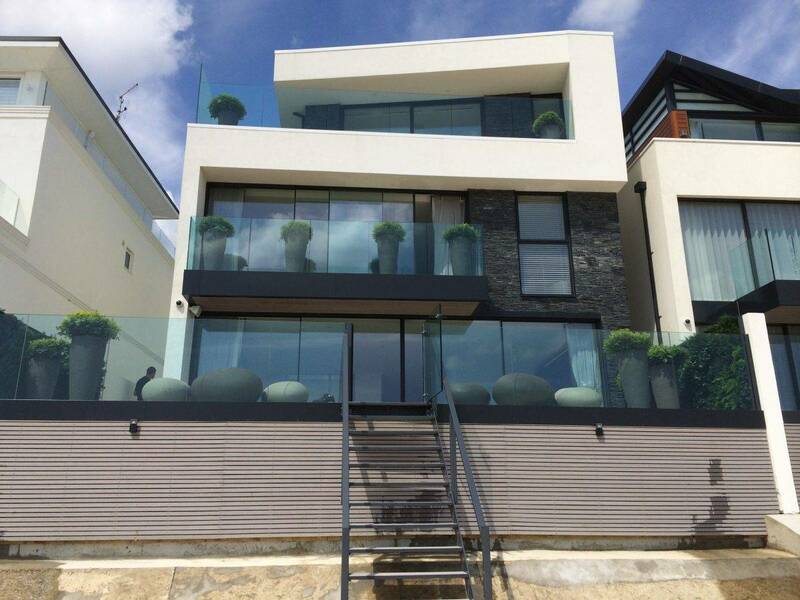 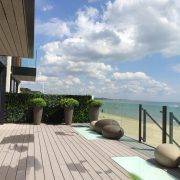 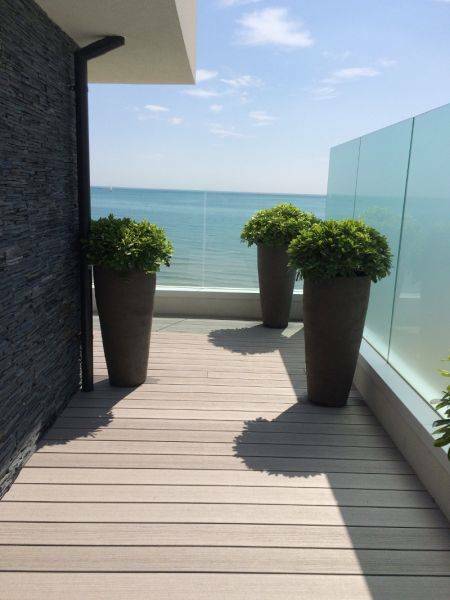 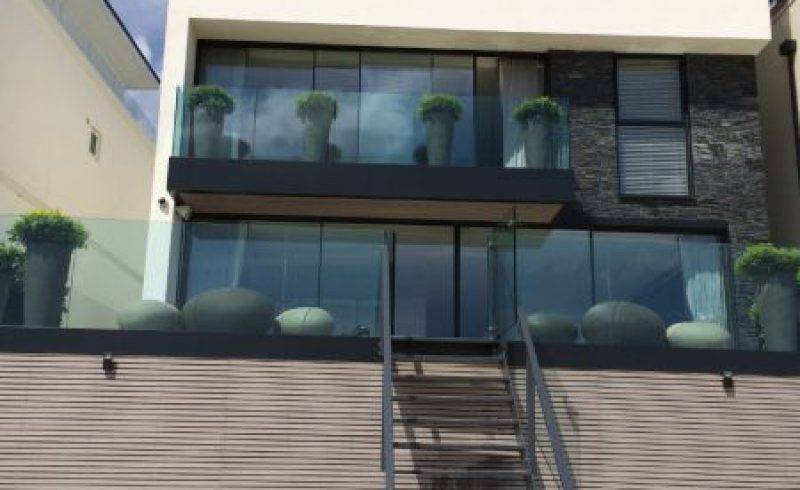 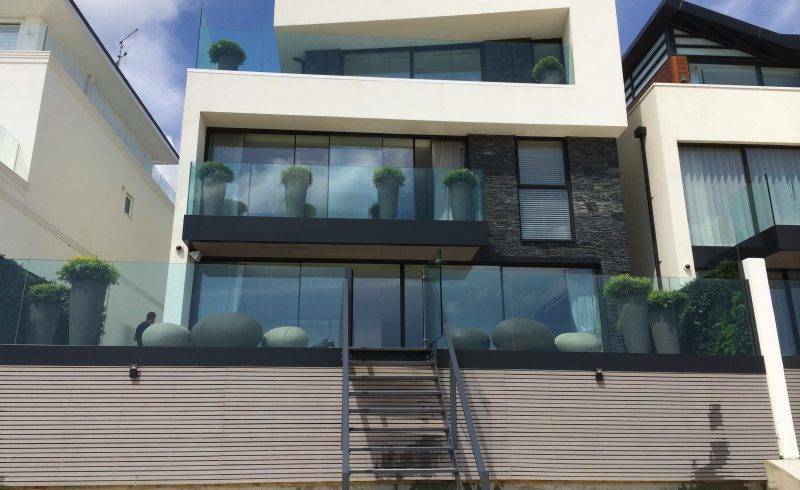 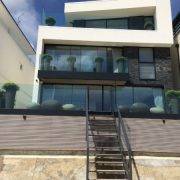 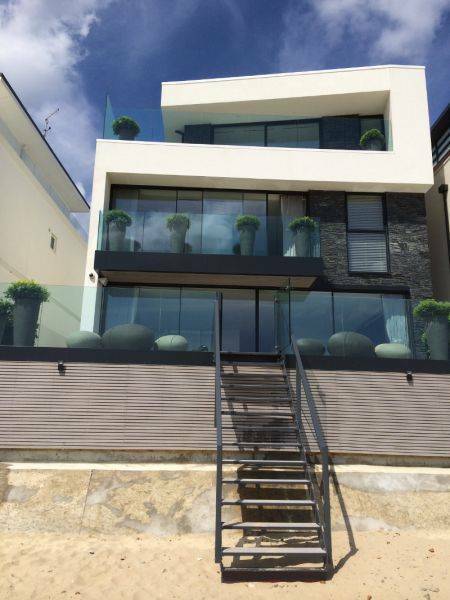 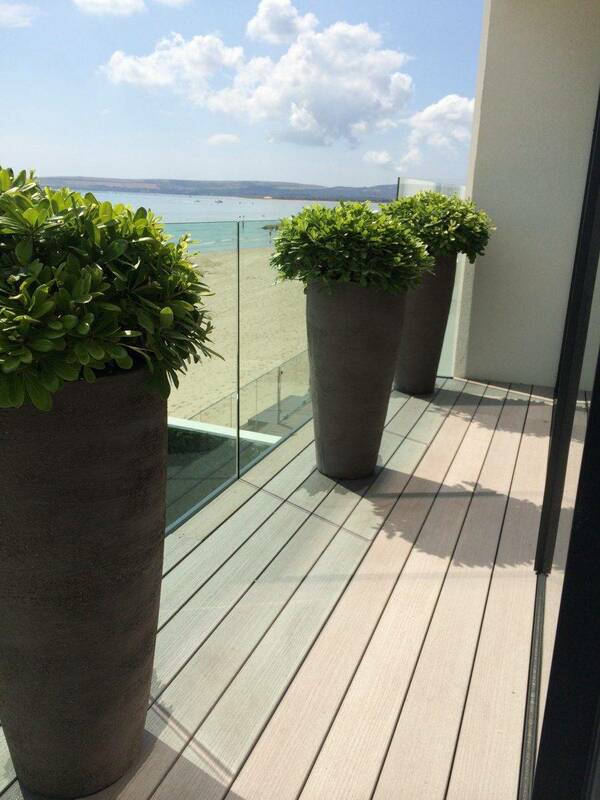 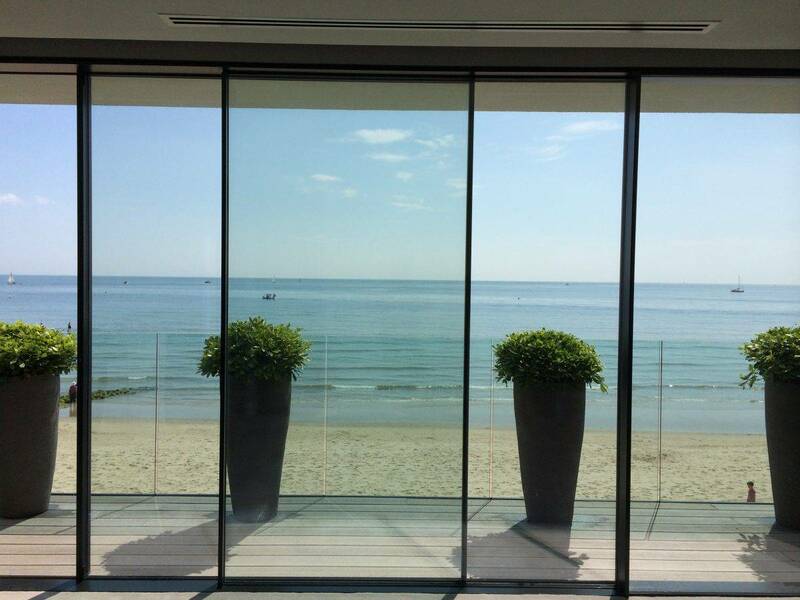 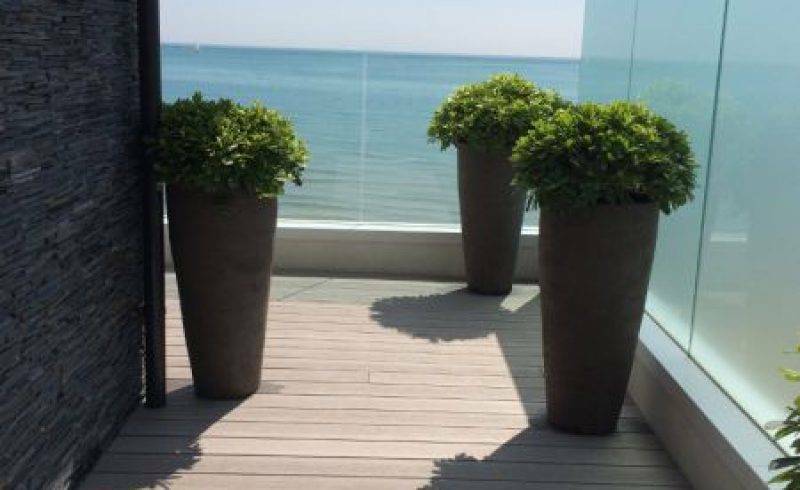 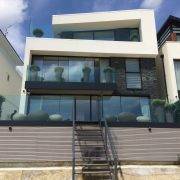 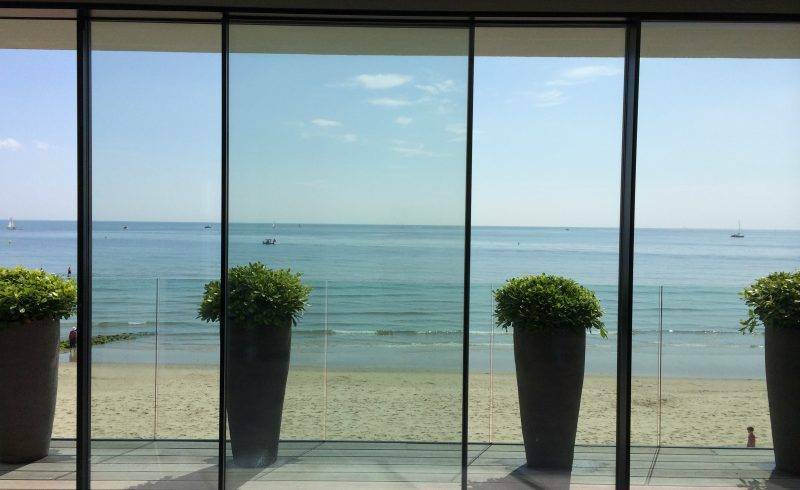 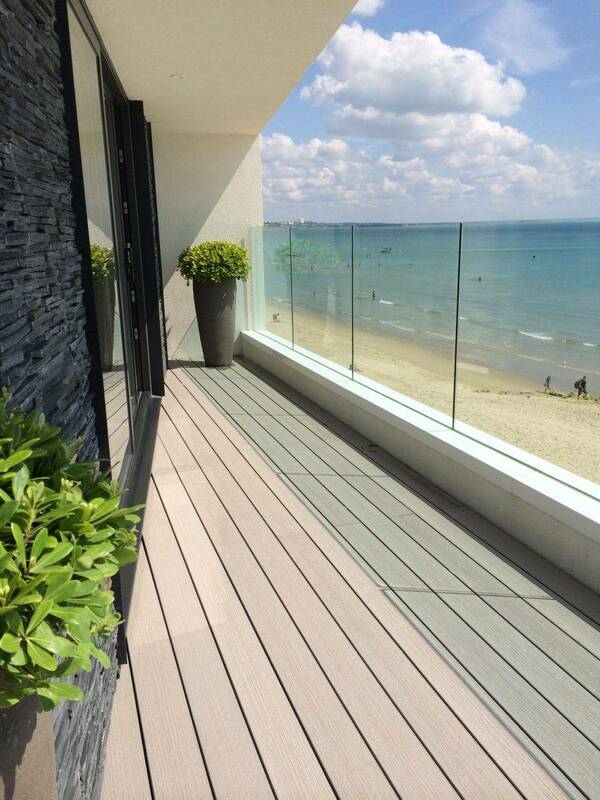 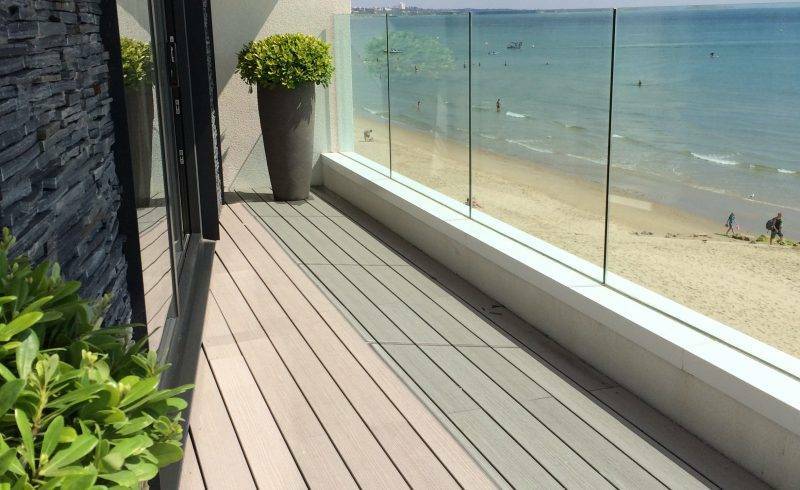 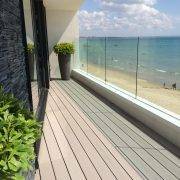 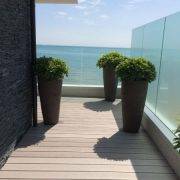 This stunning contemporary beach house in Bournemouth required the finishing touches to blend cutting-edge chic with the surrounding natural coastline. 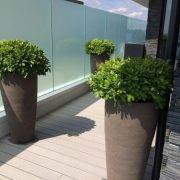 The predominantly glass-faced building benefits from modern clay troughs and evergreen hedging, to give privacy from the road. 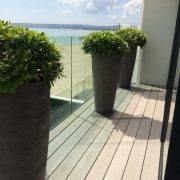 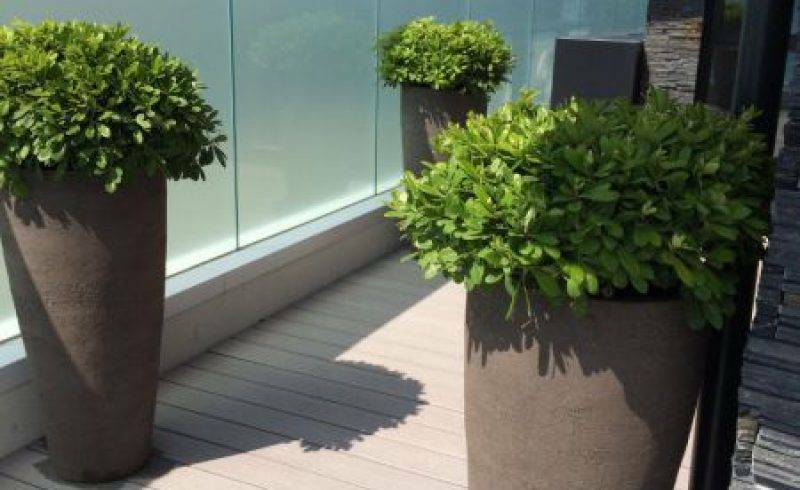 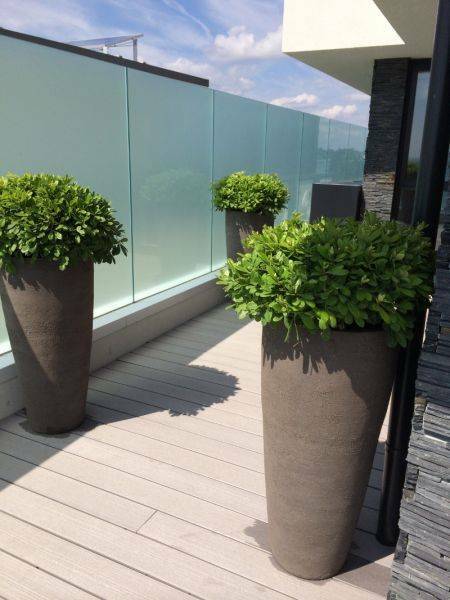 Tall clay pots with soft Pittosporum topiary soften the terraces. 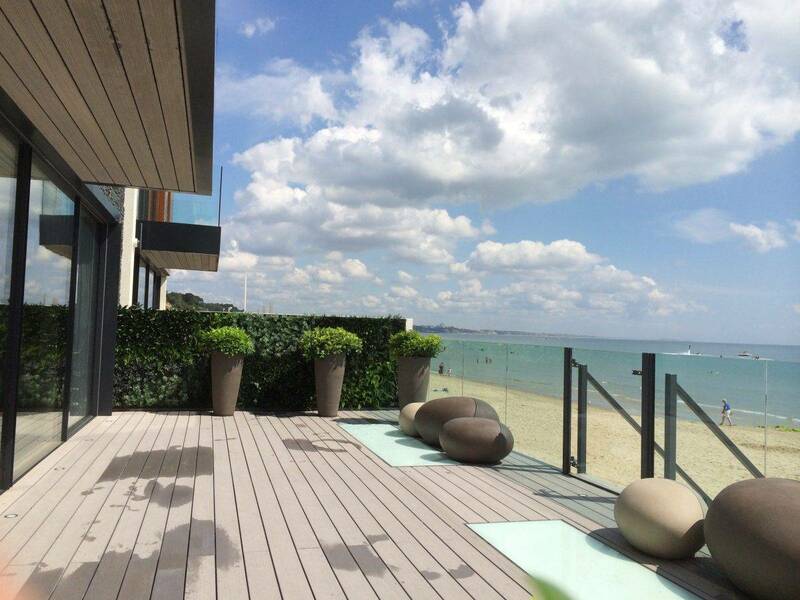 Giant Atelier Vierkant pebbles rest on the beach deck, as if collected from the shore.